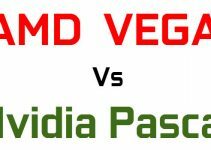 Nvidia and AMD are the two topmost manufacturers of graphics card processors or GPUs in the world. Both Nvidia and AMD make gaming as well as workstation or professional GPUs (Graphics Processing Unit). Graphics Cards from Nvidia and AMD are made by its licensed & official Partners who are authorized to make graphics cards for them. These manufacturers get the GPUs and PCB design layout from Nvidia and AMD for making Graphics Cards. Some of them may design their own customized PCB layout and circuit as to cut down cost or to increase performance. A graphics card consists of many other major components besides GPU. It has VRAM or Video Memory, VRM (Voltage Regulator Module), Capacitors, Resistors and a Cooling Unit that can be either passive or active. All these components are put together on a PCB by these graphics card manufacturers and after that they are ready to be sold in the market. Graphics Cards having same GPU from different manufacturers or brands may not have same performance and features. This is because different manufacturers may have their own board layout, memory capacity, type & speed, components quality and cooler. Most of the manufacturers overclock their graphics cards for better performance and some of them bundle games and provides more warranty. All these things ultimately affect the performance and efficiency of graphics cards having the same GPU. This is why graphics cards having same GPU from different brands have different pricing. Some are cheaper and some are a bit more expensive. Graphics cards from higher reputed brands are usually costlier than the other brands. Here in this post I am going to provide you the list of top graphics card manufacturers & brands and tell you about their graphics cards. Here are the top graphics card brands or graphics card manufacturers for Nvidia and AMD GPUs. ASUS is a top computer hardware and electronics company that is known worldwide and it really needs no introduction. It makes motherboards, graphics cards, components, peripherals, smartphones, tablets, laptops, headphones, routers, modems and more. Asus is known for its high quality and robust products and has very good reputation worldwide. Coming to graphics cards, Asus makes graphics cards for both Nvidia and AMD GPUs. It has wide range of graphics cards starting from budget, mid-range to high-end. Graphics Cards from Asus are robust and offers superior performance. Asus also has a gaming brand named ROG which stands for Republic of Gamers. The ROG brand consists of all the high performance and high quality products for gaming. Asus ROG STRIX Graphics Cards are considered to be one of the best graphics cards in terms of performance. Asus Graphics cards are a bit expensive as compared to other graphics card brands. Graphics Cards from Asus are available worldwide and their support is good all around. MSI or Micro-Star International is also a well known computer hardware company that makes high performance graphics cards. MSI makes both Nvidia and AMD graphics cards. Top higher mid-range and high-end MSI graphic cards come with TWIN FROZR VI cooling solution which very quiet in operation and provides good cooling to the graphics card. The pricing of MSI graphics card is close to that Asus and has good availability worldwide. Gigabyte is another good brand that makes variety of computer hardware products including motherboard, graphics card, laptop and other computer peripherals and components. Gigabyte make both Nvidia and AMD graphics cards. Generally Gigabyte Graphics Cards are cost effective and they are a bit cheaper than Asus and MSI graphics cards. Gigabyte has recently launched its AORUS brand graphics cards to compete with Asus ROG STRIX line of graphics cards. EVGA Graphics Cards are very popular in America and you won’t find EVGA graphics cards everywhere. EVGA is an American Hardware manufacturer that makes Nvidia Graphics Cards, Power Supplies and computer components and peripherals. EVGA makes high quality Nvidia Graphics Cards but its availability is a bit of concern outside America. Zotac is company that is known for its cost effective graphics cards and mini PCs. Zotac only make Nvidia Graphics Cards and their graphics cards are affordable as compared to graphics cards from other big brands like Asus, MSI, Gigabyte and EVGA. 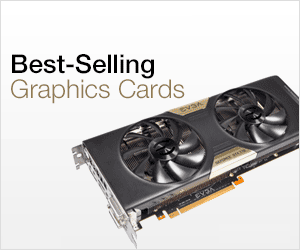 Zotac offers graphics cards from every segment whether it is budget, mid-range or high-end graphics cards. Zotac may be a smaller brand but it does makes good graphics cards and you can really trust them. I also own a Zotac graphics card. Galax (previous Galaxy) is a pretty decent company that makes affordable and reliable Nvidia graphics cards. Galax offers complete range of graphics cards from Nvidia and they are bit cheaper and affordable than the more famous brands mentioned above. In Europe it is known by the brand name KFA2. PNY is an American company that makes graphics cards, flash memory cards, flash drives, chargers, adapters and other accessories. PNY makes both gaming and workstation graphics cards for Nvidia. It is the official licensed partner of Nvidia to make professional or workstation graphics cards. PNY gaming graphics cards are well priced but they are not much popular and have availability issues. Palit is a graphics card manufacturer than mainly makes Nvidia Graphics Cards. It is fairly popular brand and offers some cheap graphics cards. Availability is also a concern for Palit Graphics Cards. PowerColor is an AMD Radeon Graphics Cards manufacturer from Taiwan. It is a good brand and if you are looking for an AMD Graphics Card then PowerColor is one of the best. Sapphire also makes AMD Graphics Cards. It offers AMD Radeon graphics cards from all range that includes budget, mid-range and high-end graphics cards. Sapphire is one of the most popular brands for AMD Radeon graphics cards. Inno3D is a Chinese manufacturer of Nvidia Graphics Cards. Their graphics cards offers good performance but they are bit hard to find because of availability issues. XFX is a popular brand that many of you have heard with graphics cards. XFX used to make Nvidia graphics cards previouly but it is no longer an official Nvidia Partner and now it only makes AMD Graphics Cards. XFX Graphics Cards are pretty good and offers great performance and features. HIS is a graphics card manufacturer that makes AMD Radeon Graphics Cards. VisionTek is a manufacturer of AMD Radeon Graphics Cards. Their graphics cards are not very popular among gamers and also they are not readily available. ASRock, which is known for its motherboards manufactures AMD Radeon Gaming Graphics Cards. Their graphics card series or range is known as Phantom Gaming. It is a new player in graphics card manufacturing but it is a reliable brand and offers great products at relatively cheaper prices. AFOX is a Hong Kong based company that manufactures both Nvidia and AMD graphics cards. It also manufactures Motherboards, Memory, SSD, CPU cooler, Power Supply, Mini-PC, Tablet PC and Laptops. The company offers almost all the graphics card models ranging from budget, mid-range to high-end category. 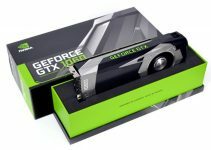 You can go to its website www.afox-corp.com and can check the compete range of graphics cards and other products there. Manli Technology Group Ltd. is one of the major manufacturers and suppliers of Computer Graphics Cards, MiniPCs, 3D Printers and other peripherals/components. It is a Hong Kong based company and makes only Nvidia graphics cards. You can find the complete range of Nvidia GPU based graphics cards starting from budget range to high-end range. Its website is www.manli.com where you can check all of its products including graphics cards. Some other or less popular brands include BFG, Biostar, Diamond Multimedia, Maxsun, PixelView, Jetway, Onda, Leadtek, Point of View (POV), Club 3D, Zogis, Colorful, Gainward, ECS, Sparkle, ViewMax, Chaintech, ELSA, Dataland, Yeston, Ocamo, Macy, Forsa, Emtek, Kinology, VTX3D, Axle3D, PCYES, KUROTOSHIKOU, Axigon. How to Find out Which Graphics Card do you have? Which Graphics Card Brand is the Best? It is true that some graphics card brands are better than others and graphics cards from top brands do cost a bit more than smaller or lesser known brands. If there are no budget constraints then the best brands that I recommend are Asus, MSI, EVGA and Gigabyte. 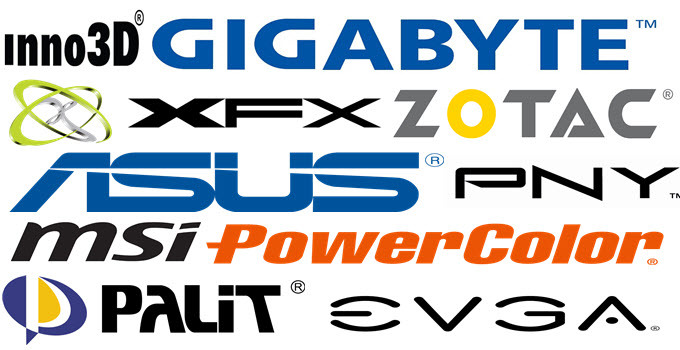 Also graphics cards from these top brands are available worldwide and good support. If you are on budget then you may look for other brands and get the best deal or the cheapest graphics card from the brands mentioned above. If you have any queries or want to suggest something then connect with us by leaving a comment below. Hello I was wondering Manli graphic cards. How are they compare to the list you mentioned in this article. Their website is http://www.manli.com Would like your feedback. Hello, Frankly never heard of them in my entire gaming and hardware career but after checking their website they do seem decent. However, they cannot be compared to the top brands like Asus, MSI, Gigabyte, Zotac etc. If you are getting a great deal on Manli graphics cards then only they are worth buying otherwise not. Anyway thank you for the feedback. KFA² is Galax but in Europe. Added. Thanks for the tip ! sir, I want a graphics card under 4000 can you suggest me which will be better for me. In this budget you can get Gigabyte Geforce GT 710 2GB DDR5 at best. does Palit is a good company. Yes it would be good and much better than the GT 710 and Palit is a reputable company. Frankly never heard of this Nextron graphics card brand. I can’t go there can you suggest be any seller’s own website through which I could purchase it. Then i would suggest amazon. It is not better than GT 730. Included and thanks for the tip. Are Galaxy graphics card good? I am planning to buy RTX 2080 and the Galaxy seems to be the only viable option as my budget can’t go further. It only has two coolers though, so I’m not sure about its cooling capabilities. Yes Galaxy is a reputable brand and their cards are pretty good both in performance and quality. Dual fans are enough for RTX 2080 so don’t worry about it. I’m going to build a PC with Ryzen 5 2600 to meet my photo processing and editing needs. Can you suggest which GPU I use? RX 570 4GB /RX580 4GB/ GTX1050ti 4 GB/GTX 1060 3 GB? As I’m using AMD processor will the use of AMD graphics card give me better performance? Should I use motherboard and graphics card from the same manufacturer to get ? I would suggest you to go with 8GB Radeon RX 580 as there is not much of a price difference between 4GB and 8GB one. There is no such thing that you will get better performance with AMD processor and graphics card. Also, you don’t have to get the graphics card from the same manufacturer that your motherboard is from. I think Asus does provide global warranty but you may to ask their support for more clarification. HI I have Dell Optiplex 9010 desktop, Intel i7 3.4ghz 16gb, AMD Radeon HD 7770 GFX seem very poor, which should I get GTX 1050 ti or 950 ti? I want best or better graphic video for gamer and photo/video edits. 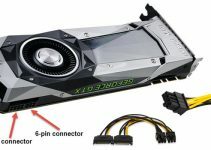 Ok which brand best GeForce GTX 1050 ti? You can go for either Zotac or Gigabyte. Zotac cards are great for the price and offer good performance too. I have been using Zotac cards for years. Akshat your comments are really very useful and educative as well as value adding for new comers. Thanks Rohan for your appreciation.